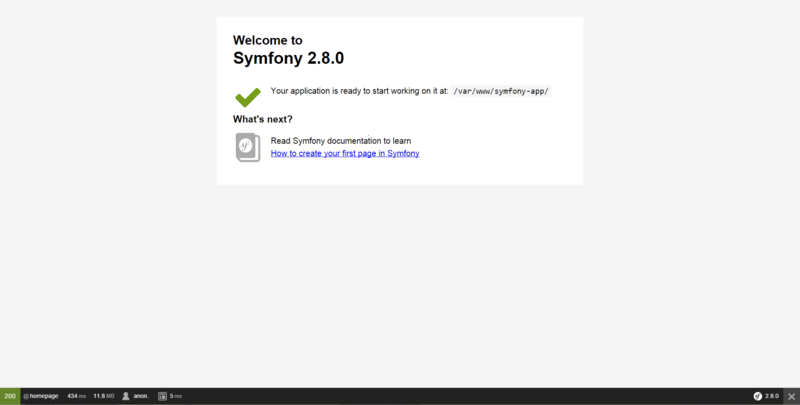 This section provides an overview of what Symfony2 is and why a developer might want to use it. It should also mention any large subjects within Symfony2 and link out to the related topics. Since the Documentation for Symfony2 is new, you may need to create initial versions of those related topics. The latest stable version during the time of writing is Symfony 3.1 which will be maintained until end of July 2017. Starting from 3.X version, minor versions will be limited to 5 and the last minor version will be LTS. Syfmony has dual maintenance mode, releasing minor versions ever six months once in May and once in November. Major version are released every two years, meaning there will be one year time period to move form the previous major version to the latest one, giving user a choice between the latest features of standard version or an LTS version that is supported for bug fixes. Symfony Framework - built with symfony components, is one of the leading PHP framework used to create robust websites and web applications. Symfony can be installed quickly through two recommended ways. The official documentaion recommends to install the framework through the Symfony Installer which is a tiny php application that is installed once on the local system that helps in downloading the framework and setting up the configuration of the framework. Symfony Installer requires PHP 5.4 or higher. To install on legacy php version use Composer. or alternatively symfony new my_project lts will use the latest long-term support version of Symfony. Run bin/symfony_requirements for checking symfony requirements and php cli setting. Install all packages that needed to run a symfony project. Setting your php.ini for example setting timezone and short_open_tag. Setting both php.ini for your php webserver (eg: /etc/php/apache2/php.ini) and php cli (eg: /etc/php/cli/php.ini). Open http://localhost/config.php for checking php webserver setting. If everything has passed, you are ready to run your symfony project. Run composer install to install all depedencies. Then setting up permission for var/cache , var/logs and var/sessions . NOTE: All controller classes should have ends with word 'Controller' and methods related to routs should ends with word 'Action'. Further, In which controller your Actions are placed is not relevant until you define a rout prefix for the controller.